Qlik Sense Cloud provides powerful insight into your SurveyMonkey activity by giving you a complete picture of your surveys. Gain new awareness into your customer responses and survey results; quickly identify key trends and respond to customers' needs on the fly. Rapid deployment. Being in the cloud, there's nothing to install and the Qlik SurveyMonkey Connector can be configured and placed into production quickly, so you gain new insights with little effort. Flexibility. 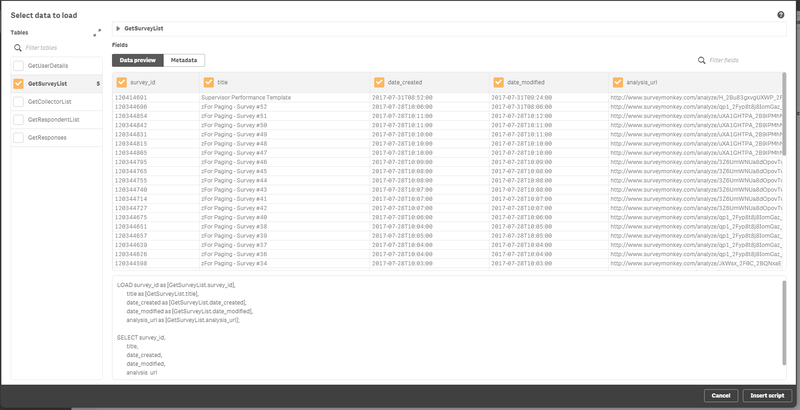 Quickly load data through the SurveyMonkey API into your Qlik application anbd update the data regularly. Qlik Sense Cloud Business is based on a subscription license model.